Accounts preparation is part of our day to day activities at Northams Chartered Accountants. With the current regime of filing deadlines and penalties, timely service has become all the more important. We pride ourselves in getting our clients' accounts and audits completed on time, well before their filing deadline. Careful planning can save a business or an individual thousands of pounds in tax. At Northams Chartered Accountants our expertise in tax matters means that we can look at ways to legitimately save you money in tax. We also undertake to carry out routine tax work on time, so that tax returns are prepared and filed before their due dates. It's our job to get your books straight and keep them that way. 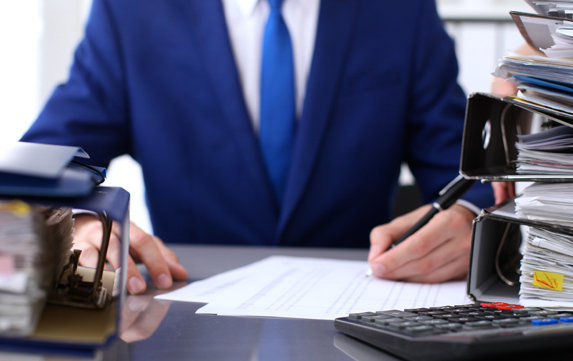 We will collect all the receipts, bank statements and other papers and make sure that they are filed correctly to meet the requirements of the VAT man and other interested parties and all at a competitive price and convenience to you. The proprietor of any small business will tell you that life is simple until the day when you take on your first employee, for it is then that you find what "red-tape" really means. You become an unpaid tax collector and may even be fined for accidentally getting it wrong or sending forms in late. Northams Chartered Accountants offers a comprehensive Company Secretarial service to ensure that you meet your statutory obligations. As your Accountants, we offer far more than year-end accounts and tax services. We can help you make your business grow and become more successful and profitable. It is vital to take time out from the day to day running of the business to focus on the future. External help can help you avoid some of the potential pitfalls. We provide a specialist service for clients starting in business. We can help you overcome the problems that have to be faced. 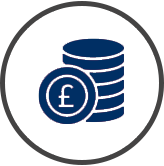 We can help ease the administration burden for you by dealing with any of Bookkeeping, VAT, Payroll and PAYE on your behalf leaving you to concentrate on the important matter of growing the business. A comprehensive resource containing calculators, tax rates and deadlines, downloadable forms and more. Read the latest business news stories. The Chancellor Philip Hammond presented his second Autumn Budget on Monday 29 October 2018. In his speech he stated that 'austerity is coming to an end - but discipline will remain'. The Chancellor Philip Hammond presented his first Spring Statement on Tuesday 13 March 2018. In his speech he provided an update on the economy and responded to the Office for Budget Responsibility forecasts. In addition he launched consultations on various aspects of the tax system. Access a wealth of useful business, tax and financial information. Accounts preparation is part of our day to day activities at Northams Chartered Accountants. Careful planning can save a business or an individual thousands of pounds in tax. Welcome to the website of Northams. 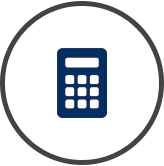 This site has been designed to provide you with an overview of the services we offer, and you’ll also find useful tools and guides to assist you with your own research, together with tax bulletins, calculators and enquiry forms. At Northams our experienced, and friendly specialists can advise on all of the challenges that can affect you and your business. We are here to help you with every aspect of your accountancy requirements, whether your business is newly formed or well established, so we hope you enjoy visiting our site and we look forward to hearing from you soon. For a quick check on how we can help you, please click here. I have used the services of Northams since 1995 - initially for preparation of my Company Accounts, but also for personal Tax Returns over the past 15 years or so. I have always found Colin Gillard and his staff to be very friendly and helpful, and prompt to respond to queries. Their knowledge and understanding of our complicated taxation regime has been not only reassuring, but also financially beneficial. I would be pleased to recommend their services to any commercial or personal client. Colin and his staff at Northams have provided me with sound and effective advice and are always available and accommodating. I would have no hesitation in recommending Northams to assist and support you with your business accounting needs. 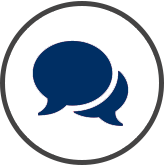 Northams have acted as accountants for us for a number of years. They have dealt with both our business and personal affairs in a very efficient and professional manner. Colin or one of his team have always been on hand to answer our questions and guide us through many of the financial laws which can be a burden on a small business. Northams have advised us how to manage our affairs in the most tax advantage way as well as talking through some areas in our businesses where savings could be made.